Latrice C. Goss was born and raised in Brooklyn, New York. She has been writing poetry since the age of 9. 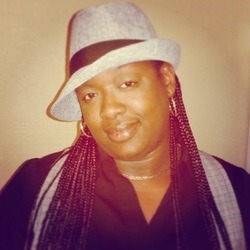 Latrice has written for school publications, plays and community functions. Achievements include various accolades for her work throughout her scholastic career. Later intrigued by the journalism field during her college years, she became the Managing Editor of SCEPTER, Kingsborough Community College’s student newspaper, Treasurer of the National Society of Collegiate Journalists, and from 2000-2010, was the Hip-Hop Entertainment columnist for The New York Beacon. Latrice currently holds a B.S. in Communications from New York University and an A.A.S. in Journalism from Kingsborough Community College. She plans to pursue her education further in the near future. For now, her sights are set on advancing LCG Publishing and assisting in nurturing new authors and artists in the creative writing field. A poet at heart, Ms. Goss’s first love will always be poetry. However, she is currently working on a fictional book project depicting the journey of life, love and spirituality. Latrice loves to travel and has even relocated to the San Francisco Bay Area for five years, in which she credits as a "monumental learning experience" in her life. She is passionate about community and race issues and currently serves as Managing Editor of The Vision, a community-based newsletter produced by the Business and Development Committee of United Goodwill Inc.